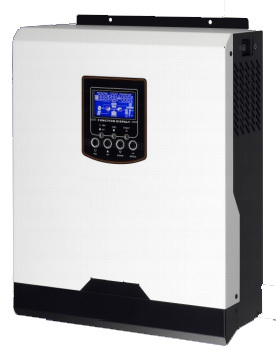 Solar inverter AS 2424 MPPT IRCG is a versatile high frequency Pure Sine Wave inverter-charger designed for both off-grid or with grid (as backup) application, with the built-in MPPT solar charger. This series features a light weight and compact design, contains a 50A max MPPT solar charger, as well a battery charger ranging 60A. AS 2424 MPPT IRCG features a wide input range support from 90~280VAC (Appliance Mode) and 170~280V (UPS Mode). This is especially important and useful for areas with unstable grid power supply. 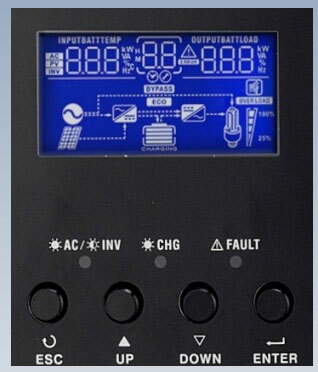 This controller offers AC or DC (solar) priority modes, and the controls can be easily modified from LCD menu that offers comprehensive system information. It also comes with a USB port that can be connected to a PC for system monitoring. When selected to operate in DC (solar) priority mode, inverter will increase charging current from Solar source whenever possible, while reducing current from utility sources.